They say that a dog is man's best friend. The person who came up with this term was certainly right. 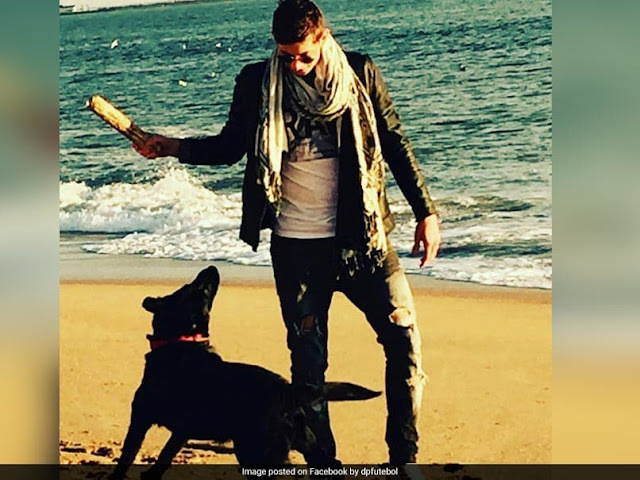 This heartbreaking image published by Emiliano Sala sister, Romania, shows what a best friend Nala was to the footballer. Believe me, it’s one of the saddest sights to watch a dog suffering from the loss of a beloved human companion. It is difficult to explain to them what happened or why their human is never going to return. They are confused. Their feelings of separation and abandonment are quite real to them. The only thing they know is that in a minute the object of their grief was here, the next they are gone. They say when a dog shares his life and home with a human companion a strong bond forms. Nala has lived his life with his pal and his pal's scent is all around his environment. He feeds him, plays with him, spends time with him and perhaps a lot of times sleeps close to him! This way of life between Nala and the footballer forms a strong friendship. There is no better way to explain Nala strong friendship with the footballer than these heartbreaking images posted by Emiliano sister. 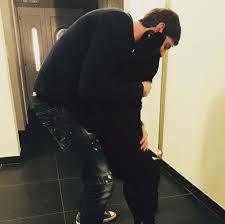 These pictures really proved what a worthy companion Nala was to the footballer. The sister posted the pictures at the weekend, showing loyal Nala staring off into the distance at the sky, seemingly hoping the tragic player would return any second. 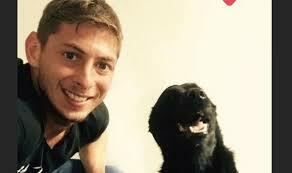 The post is made all the more heart-rending as it is believed Sala, 28, had traveled on the private Piper Malibu aircraft to say goodbyes to close friends, including Nala, before joining his Cardiff City teammates for his first day of training following his club-record £15 million moves from Nantes. Social media users were devastated by the images and posted their own tributes to a tragic tale in football. 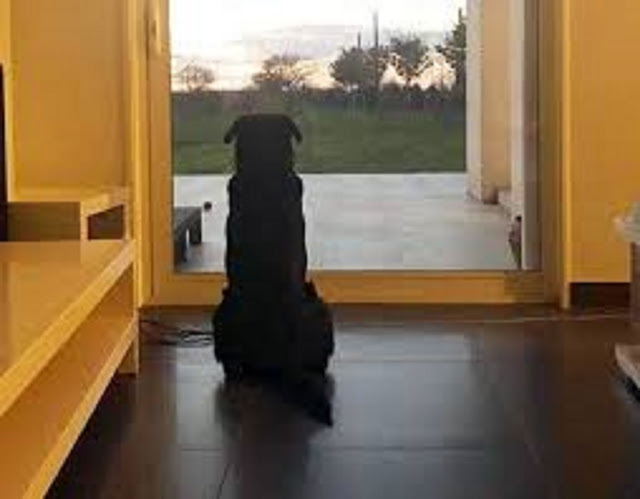 Sala had plans to later arrange transport to the Welsh capital for Nala, who he rescued from an animal shelter and would often walk the dog in the vineyards of French town Carquefou, north of Nantes, which he had made his home. Unfortunately, those plans never came to execution. On Sunday, the remains of the plane were found around 63 meters underwater in the English Channel off Guernsey, two weeks after losing contact with the coastguard. A day later, Air Live reported that after an investigation carried out by the Air Accident Research Branch (AAIB), the video images showed a body present within the plane's wreckage, belonging to a member of the plane’s crew, which consisted of Sala and the aircraft's pilot, David Ibbotson.